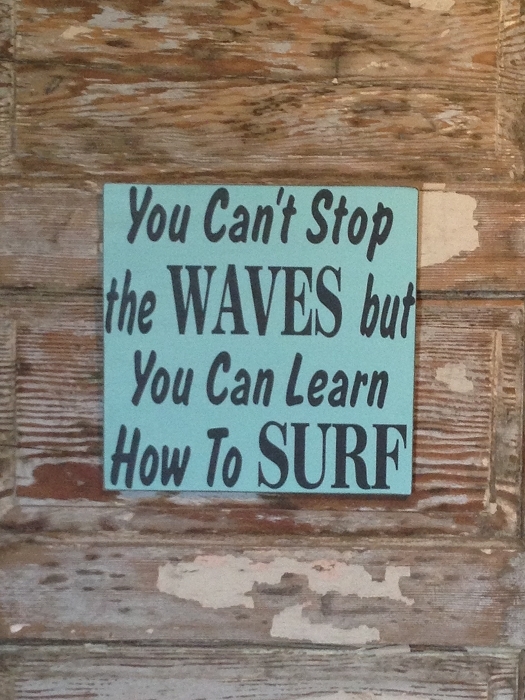 You Can't Stop The Waves But You Can Learn How To Surf. As Pictured, Bahama Blue sign with Black lettering. Custom GPS Coordinates Sign. Rustic 4 Foot Long Wood Sign.